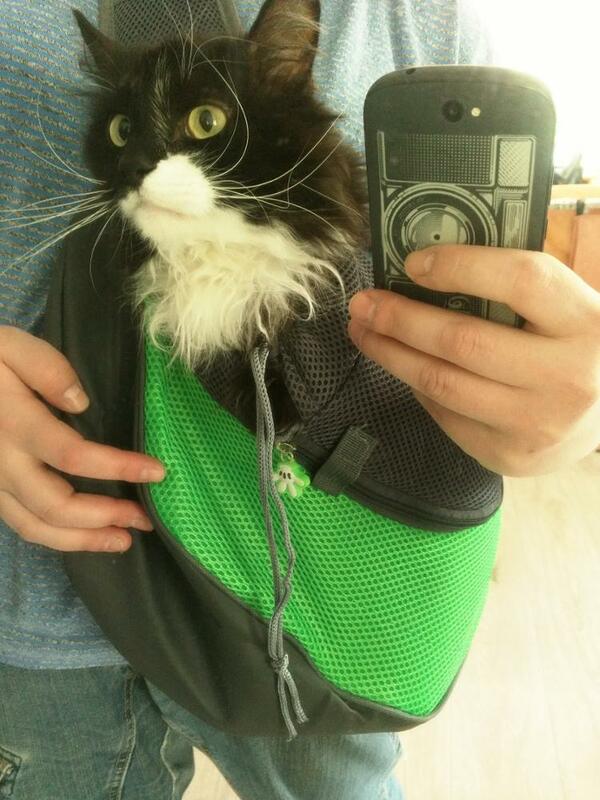 "This pet carrier is super convenient! My favorite part about it is that it is very supportive on your back. I have a bad back and the cross body strap helps to ease the strain on my back. It is very comfortable to use! I wouldn't recommend for any animals over 5 lbs. my cat did not fit in it but my dog did which is why I got it. It's also very lightweight and makes it easy to pack up and go whenever you want!" "This is definitely for a small dog, I got it for my cousins Chihuahua. It's made of durable material and is comfortable to wear. 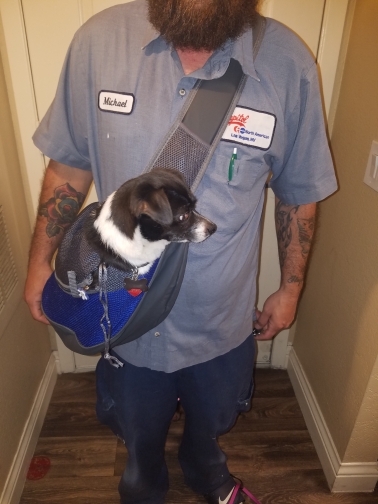 The dog seems to enjoy it and have plenty of room in the bag and likes to be able to see out around him at the top as well." 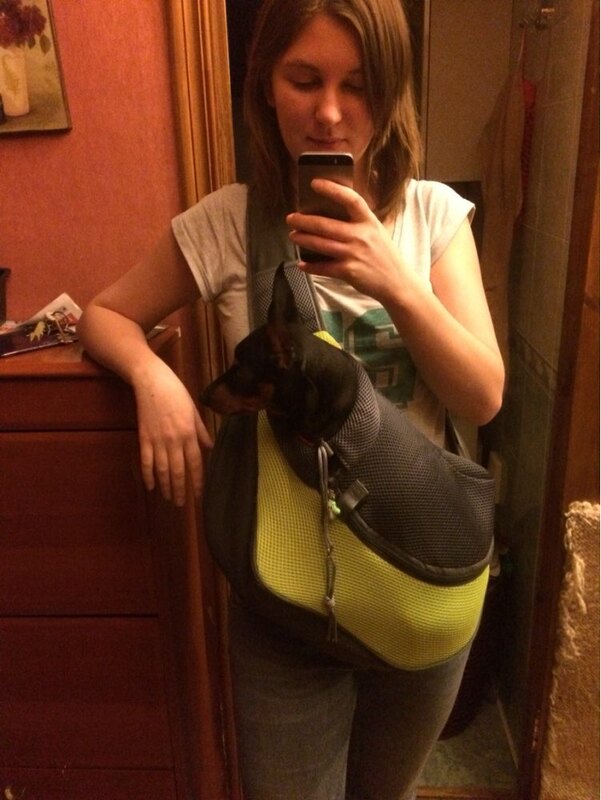 "Super awesome pet carrying bag! 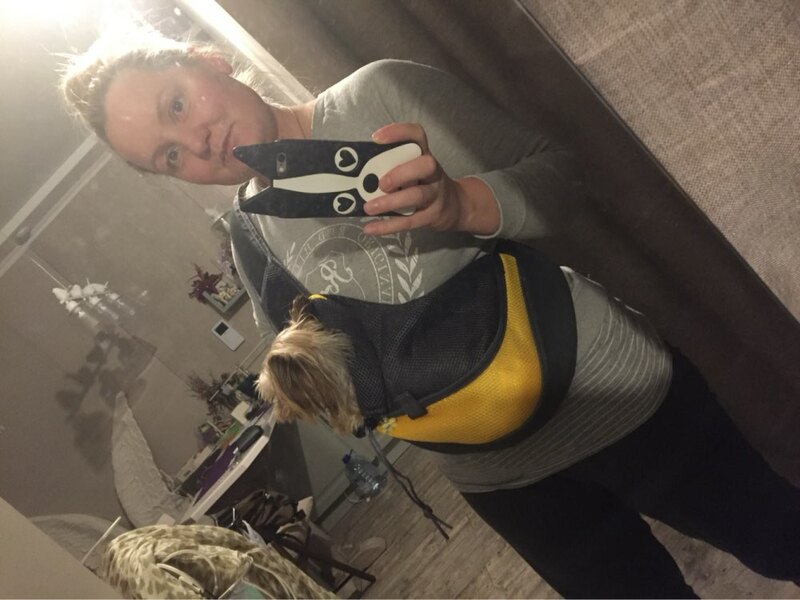 I was surprised how comfortable this bag was to carry around my little dog in. Granted this bag is for small breeds and my dog is about the biggest you can place in it. She is a teacup Pomeranian (6 lbs). I have a larger average size Pomeranian and she is the way to big (12 lbs)! I will get a stroller for my bigger pup. This is great because my dog is getting older and I wanted to make it easier for her when I go to shops and walks in the park. She can sit in it if she gets too tired. 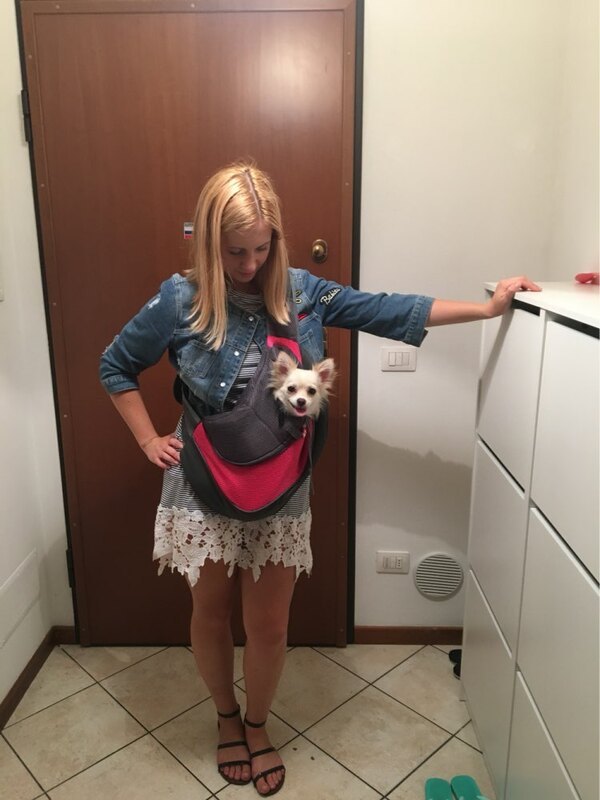 It's a little challenge to get the dog inside the pouch but if your dog is small enough, there is enough room and it's easier. The bag is very durable and I love the colors. The adjustable strap is nice too." 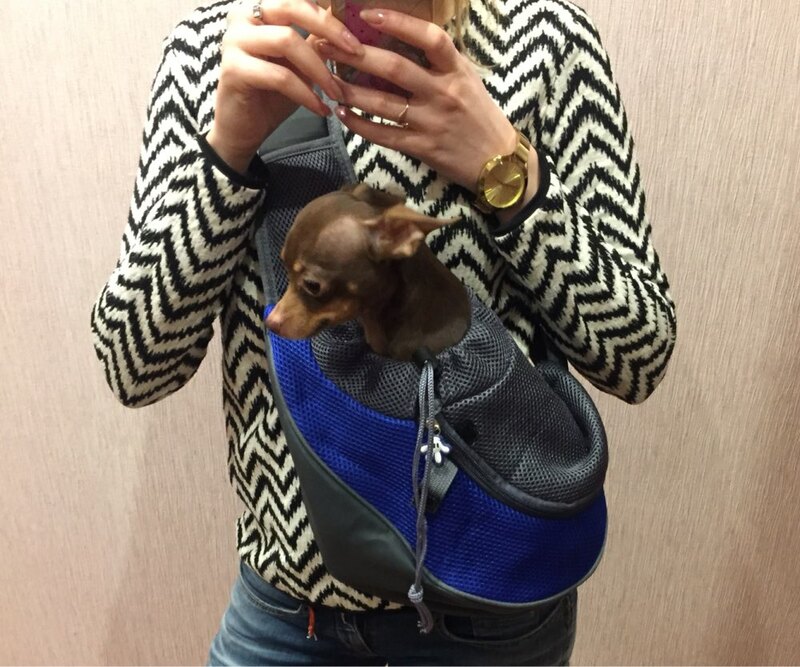 ❤ SMALL DOG CAT CARRIER SLING - Made of soft PU and breathing mesh, it is comfortable for wearing and gives your pet a comfortable space. ❤ SAFE COMFORTABLE PET CAT SHOULDER BAG - A buckle inside the bag can connect with pet's collar which will prevent pet get out, and protect the safety of pet. 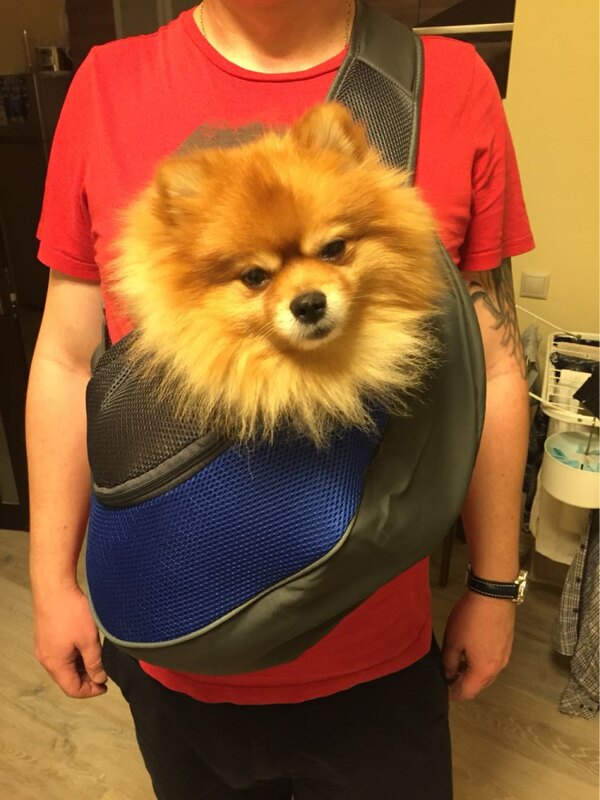 ❤ HAND-FREE PET OUTDOOR TRAVEL BAG - Release your hands, you can easily take your pet outdoor or on a travel. Perfect for dogs, cats, rabbits, ducks, mini pigs, etc. Machine wash in cold water on a gentle cycle. ❤ FEATURES OF THIS PET SHOULDER BAG - Max 30kg bearing. ❤ WHAT YOU WILL GET - Product includes 1 * Pet Sling Bag.